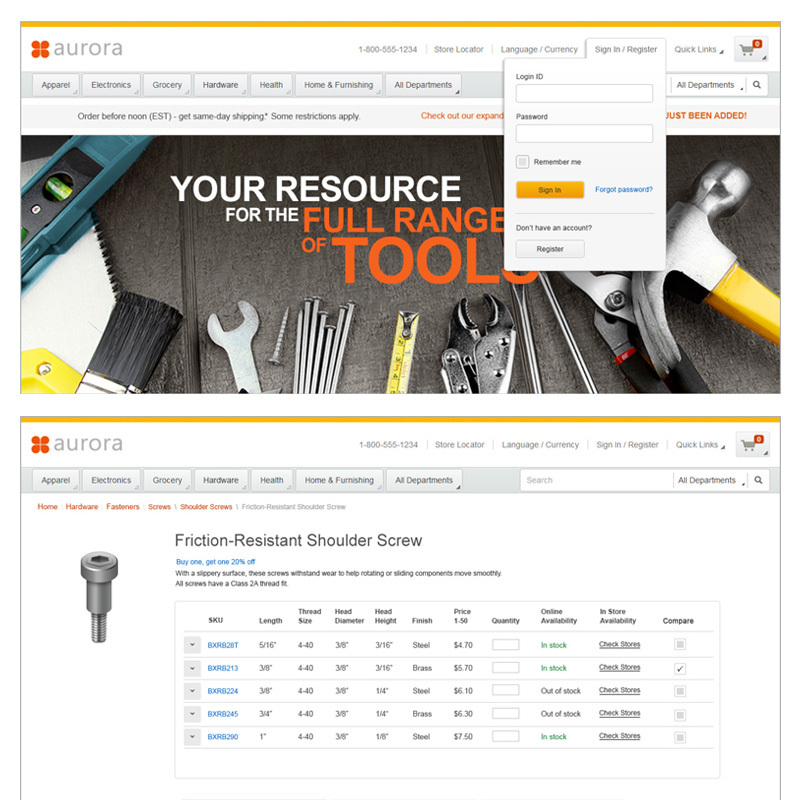 For IBM Commerce Aurora B2B, B2C store frameworks. 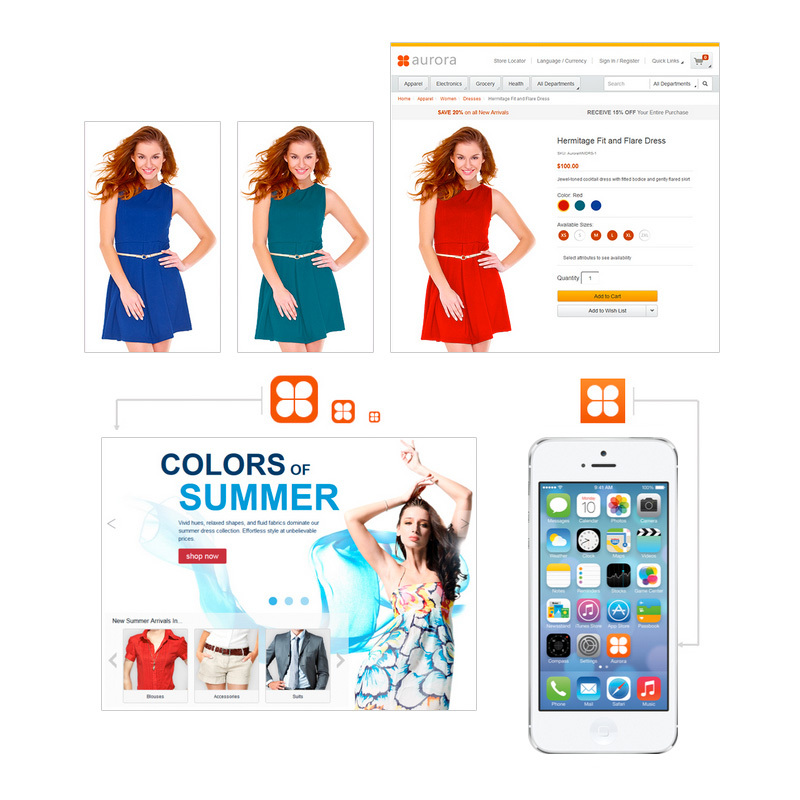 The designs respond to each user's access level - whether they are a B2B buyer, B2B org admin, B2C shopper or B2C customer service rep.
Researching stock photos, color correction, photo manipulation, favicons, touch icons etc. 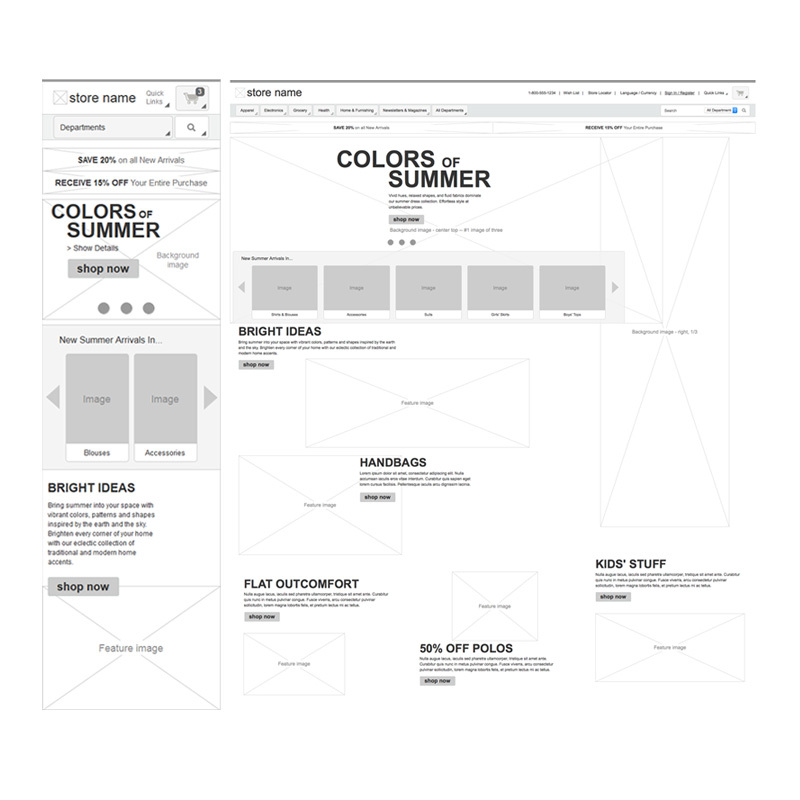 Created responsive Axure wireframes and hi-fidelity html prototypes for the IBM Commerce Aurora store framework. 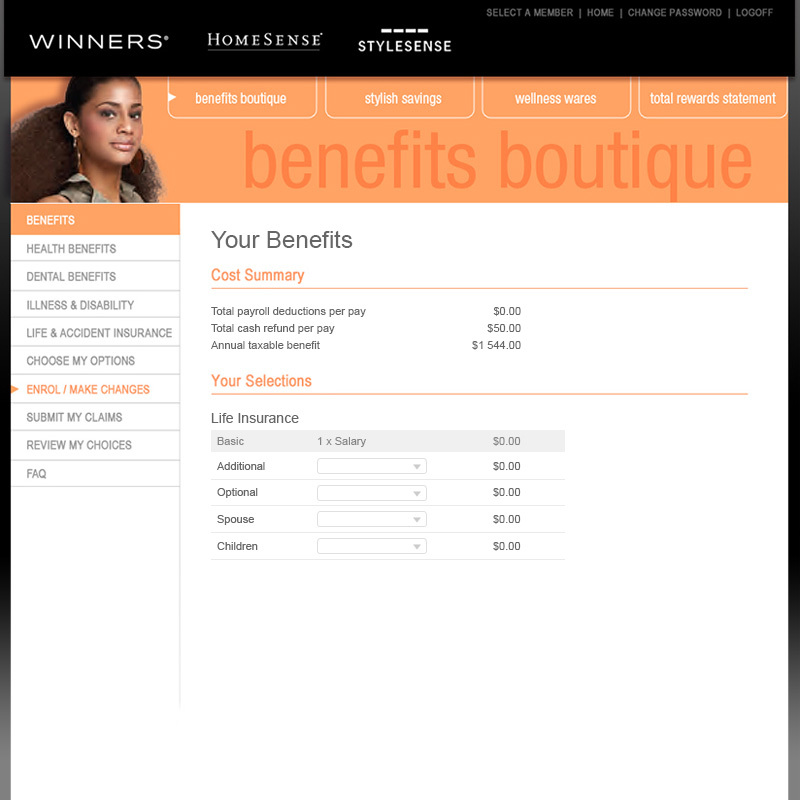 The wireframe files are now shipped with the IBM Commerce software as part of the companion assets. 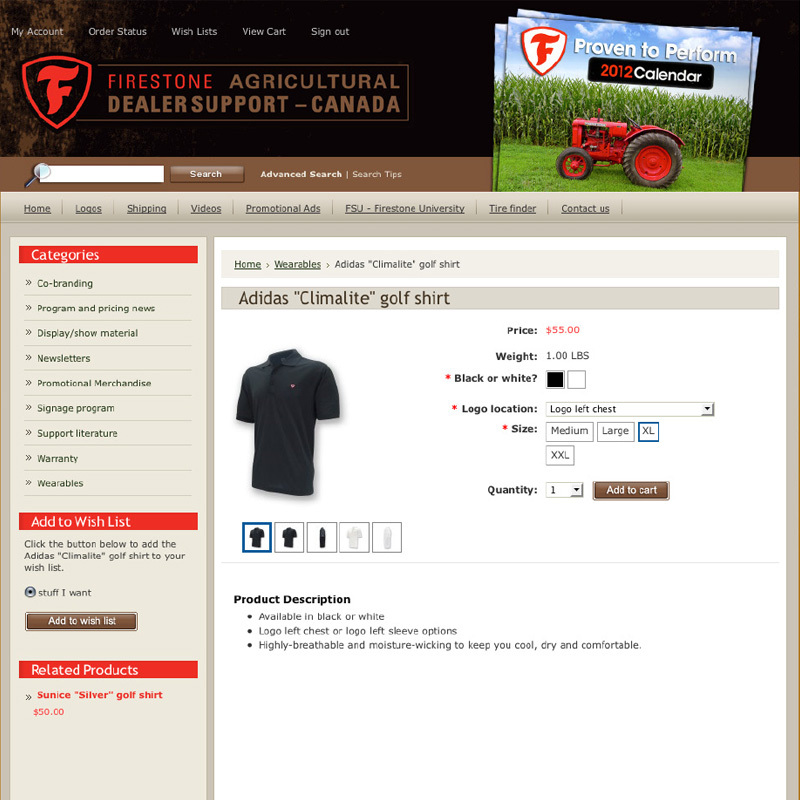 Design and development of an ecommerce website for Firestone agricultural dealers in Canada, with accompanying print support material and personalized enewsletters. 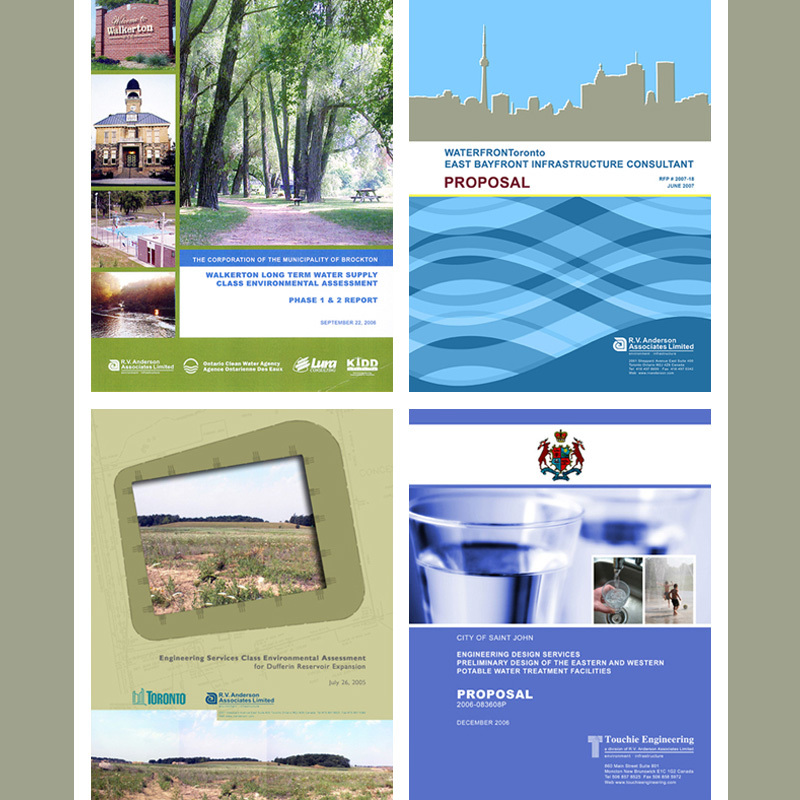 Designed annual reports, new employee "welcome packages", "total compensation statements" with variable data, and posters for large corporations across Canada. 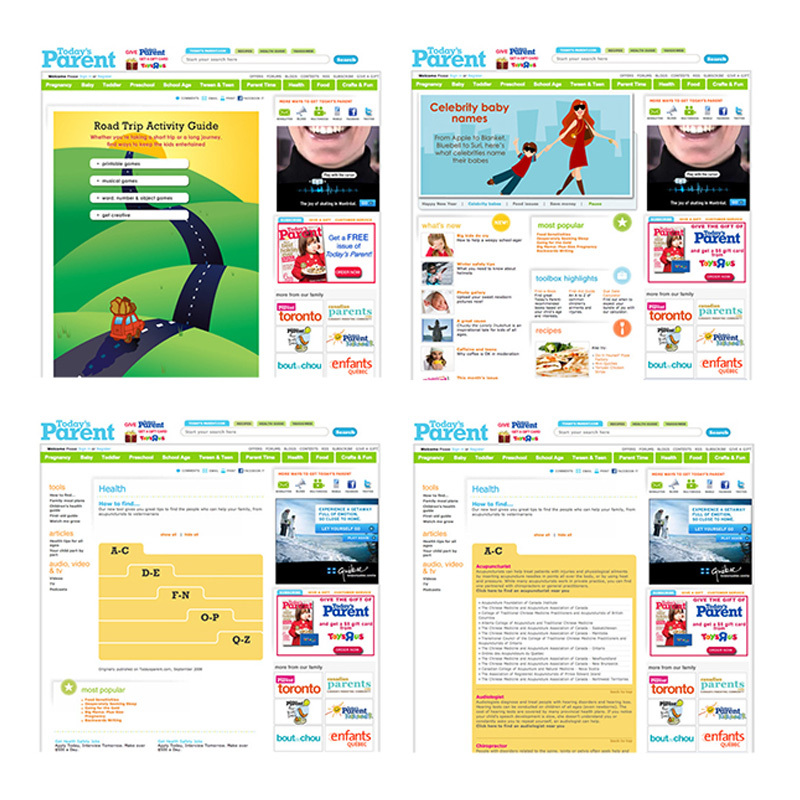 Sole web producer for the Today’s Parent website – Canada’s most popular parenting site with over 10,000 visitors per day. Designed and developed monthly web exclusive sections, contests and ad banners. Set up blogs, forums, podcasts, videos. 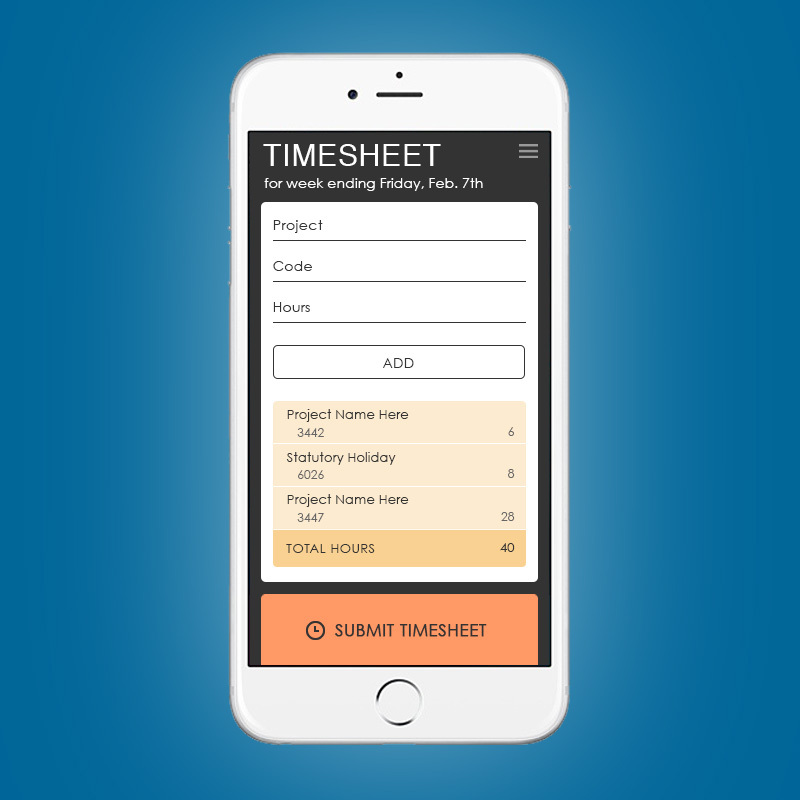 Designed / deployed HTML email newsletters to over 200,000 users per month. Compiled monthly web analytics reports. 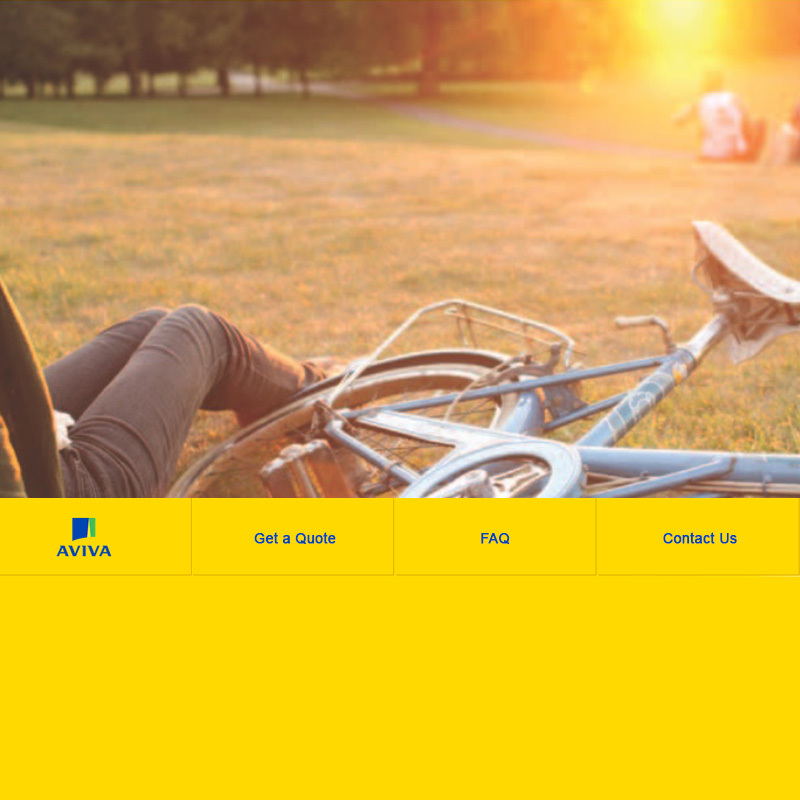 Designed custom HR "pension & benefit" portal websites for many large corporate clients. Design comp. 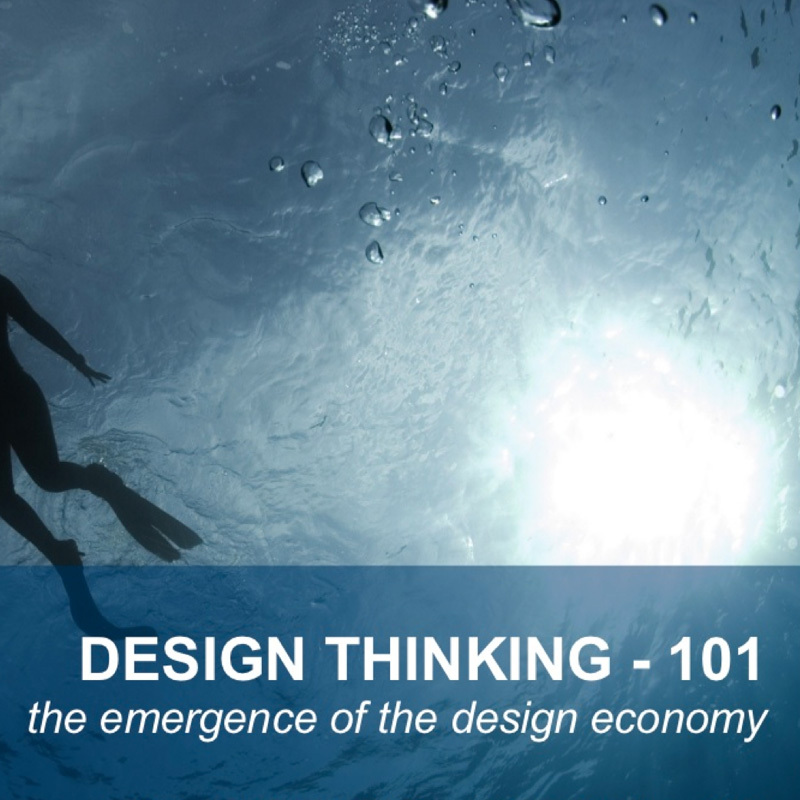 for a time tracking tool with a 'design thinking' approach.